Most Stock orders placed Friday, Saturday or Sunday will ship the following Monday. If there is a special circumstance please let us know and we will do our best to accommodate. 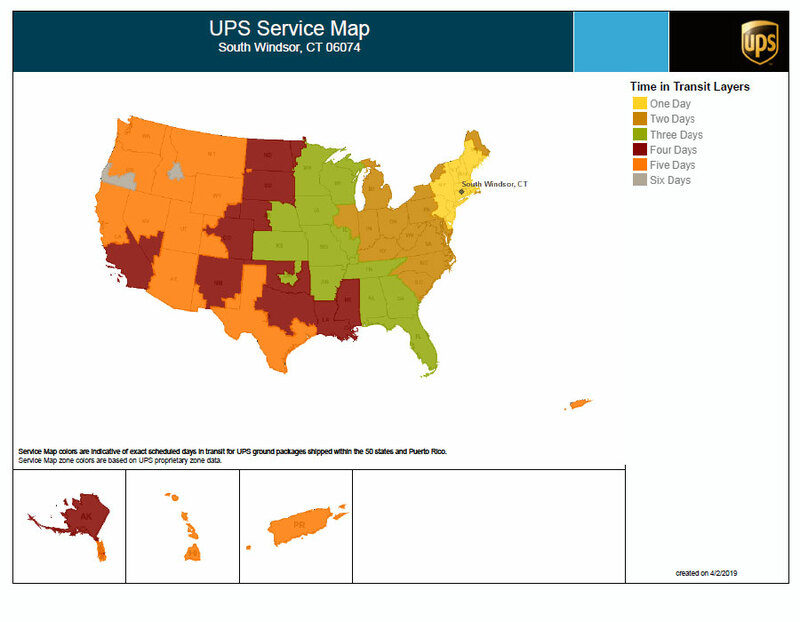 Leave yourself plenty of time for shipping times from South Windsor, CT 06074. Remember if there is a trophy spelling error we will replace the award at the same ship level that was placed originally and will not express or overnight such replacements. If we see any issue with meeting a deadline we will contact you immediately to make arrangements to get you the product in time for your event. Anywhere you see the your item qualifies for FREE SHIPPING in the CONTINENTAL USA if your order totals more than $97. Please note that this is usually 3-8 day delivery depending on your location. While Most of the USPS Priority services are 2-3 days they ARE NOT GUARANTEED by SAME DAY AWARDS or the US POSTAL SERVICE so if you have chosen that the product although highly likely will arrive on time IS NOT GUARANTEED.